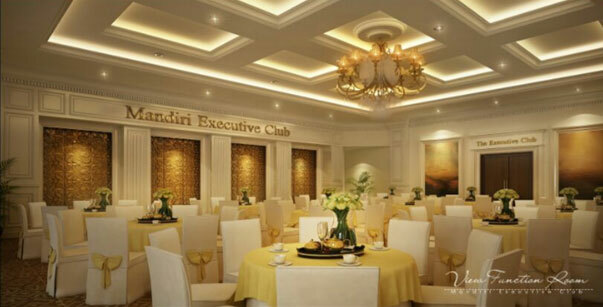 The Mandiri Bank Indonesia is planning to renovate Mandiri Club – Plaza Mandiri building that is located in Mataram Street 1 No.3 Southern Jakarta. On the second floor, there’s a function room that is planned to be used for events for VIP partners. The function room is to be used for many other events such as seminars, gala dinner, multimedia presentation and Live Acoustic Music. PT. Studio-T Transintrasia as a project planner has appointed ALTA Integra as an acoustic consultant for the Function Hall The Mandiri Bank Indonesia Project. Then we give design recommendation of architectural acoustic that coalesce beautifully with the existing interior design to achieve the acoustic quality with the beauty of the room.